As busy season approaches, you might be prepping your online ad campaigns to draw in new clients, leads, and prospects. One resource you might have passed over previously was Bing’s search engine ads. They work similar to Google Ads, but are powered by Microsoft’s tools, such as Bing, Yahoo, and LinkedIn. What makes this combination so powerful? Available only in the U.S. these product enhancements work across text ads, shopping, and Bing products, which is good news for the accounting industry. Why is this important for the accounting industry? Posting ads on search engines not only helps consumers and business owners to find you easily, it also provides them with insight into your firms’ services. Also, with search engine marketing (SEM) you gain instant brand recognition on that search engine. Tax Return Forms Driving You Crazy? | We Can Help. Also, writing content on your site to answer Siri, Alexa, and other voice-search questions, will be key in getting your firm’s name in the lime light. Write a lot of Q&A articles with questions as the headline, e.g., How do I complete my 1040 form in 2018? What is a standard deduction? Do I qualify for a pass-through deduction? Then, write your answers in clear, simple language that even a machine will understand. 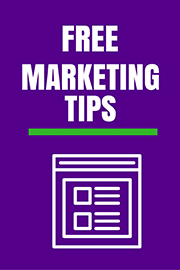 Once posted, be sure to share them on every marketing channel your firm is using, especially on social media, like LinkedIn. What does Bing do better than Google? Video display is also taken to a new level on this engine’s SERP. Rather than providing results in a single column, Bing shows them in a thumbnail grid format. Meaning, visitors can watch a number of videos without leaving the SERP. If your firm offers content in a video format, this engine might be the clear winner when it comes to displaying your content. Bing is also less crowded with advertisers than Google, which benefits you via lower click-thru rates. With tax-related keywords costing upwards of $20 per click during busy season, that’s good news for your budget. AdEspresso’s demographic data for Bing shows about 40 percent of the network users are between 35-54 years old; 43 percent are married; 31 percent are single/never married; and 9 percent are living with a domestic partner. They are also pretty wealthy, with an average household income of $100,000. Because Google is the much-larger engine, you may still want to spend money there. However, if you split your Google/Bing budget 80/20 or 70/30, you can determine which search engine outperforms, reaches more of your target audience, and generates leads quicker. With this in mind, will you be splitting your ad budget this busy season?